The Nigerian Women Association of Georgia (NWAG) plans to award 37 one-time scholarships, one per state of origin as well as one for the Federal Capital Territory (FCT), in the amount of fifty thousand Naira each, to Nigerian female undergraduate students in Nigerian universities. 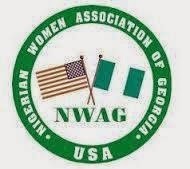 NWAG, a non-profit organization based in Atlanta Georgia, was founded in April 2000 by the then Consul General’s wife, Mrs. Dayo Keshi with a mission to empower women, youth and children in their adopted community in the United States and in their home country, Nigeria. As at 2014, NWAG has successfully awarded a one-time, one year scholarship to 405 female students in Nigeria and 42 students in the USA. The current NWAG President, Mrs. Abby F. Ebodaghe, who looks forward to the 13th Annual NWAG Scholarship Awards challenges female undergraduates from unrepresented or minimally represented states and universities to participate this year and change that picture. She is calling on families to encourage their daughters to take advantage of this opportunity. Fifty thousand naira one-time scholarship for 37 applicants, one from each state. Interested prospective applicants are advised to click here to download an application form. Completed application can be submitted with all required documents by pdf or word version to NWAG either electronically via e-mail at nwagscholarship@yahoo.com or by regular mail to P.O. Box 14542, Atlanta, GA 30324. And all electronic submissions must be in pdf or word format. All applications must be POST-MARKED BY May 30, 2015. Late applications will not be accepted. Applications may not be faxed or hand-delivered. 1 Letter of recommendation from either the Dean of your Faculty/School or your Head of Department. An explanation of why you need and should receive the scholarship-(not more than one-half typed page). Kindly send your questions to nwagscholarship@yahoo.com.